Home / Whitby / Mendoza's Grand Opening!! 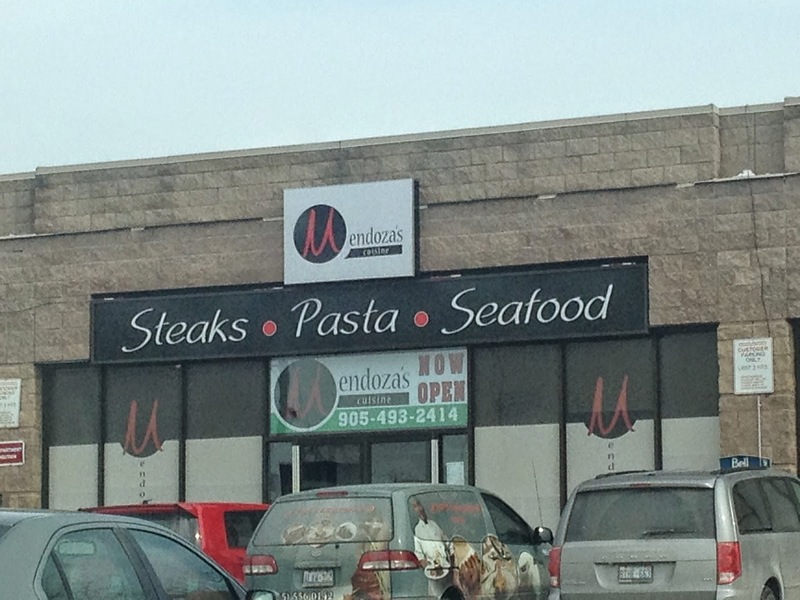 The Grand Opening of The Lake Grill's sister restaurant, Mendoza's, happened over the weekend. It's located in a plaza on Dundas, near Hopkins, in the former home of the Golden Griddle. The venue is spacious with light colours and a bold, red wall. Even if it was full, it still wouldn't feel cramped. For this special day, free appetizer platters were handed out. They consisted of a Roasted Red Pepper & Squash Soup, Grilled Chicken Lettuce Wrap, Deep Fried Avocado Spears, Salmon Cakes, Steak Tartare and Marinated Shrimp. 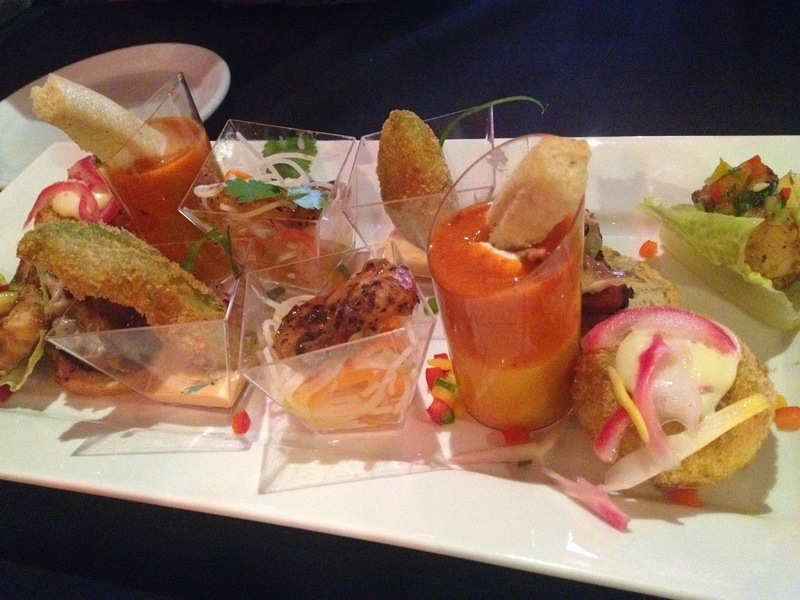 Some of these do not appear on the menu; the chefs created them just for the occasion. How exciting! The soup was creamy and thick. In the cup, the squash was on the bottom and pepper on top topped with goat cheese. One did not overpower the other. A great soup! We were actually fighting over the avocado spears. Who fights over avocado? When it's this good, we do. It came with a zingy chipotle sauce to give it a little kick. I hope there is some way to get these marinated shrimp. Served on a bed of rice noodles and shredded carrot, the shrimp were a little sweet and a little salty. Can't put my finger on it! The other item we fought over were the Grilled Chicken Lettuce Wraps. Juicy and tasty, topped with mango salsa, this was a winner all around. Highly recommended! The salmon cakes were HUGE! I ate 3 and was full. They were fluffy and full of salmon.This is not a light snack; more like comfort seafood. Yum! The steak tartare was outstanding. The steak was tender and seasoned well. It was topped with mushrooms, onions and dried cranberries. A delightful combination! The service was great and the atmosphere was classy. It's a nicer restaurant, so you'll want to look the part. There is no dress code, but if I showed up in a tshirt, jeans and flip flops, I'd feel under-dressed. If you're looking for a date night or you're just looking for some fantastic food, go to Mendoza's! From the looks of the full menu, we'll definitely be back. This was just a teaser!